The Diller Room opened in the back area of the Stella Cafe on April 1, and is hosting a grand opening party on Thursday April 22. 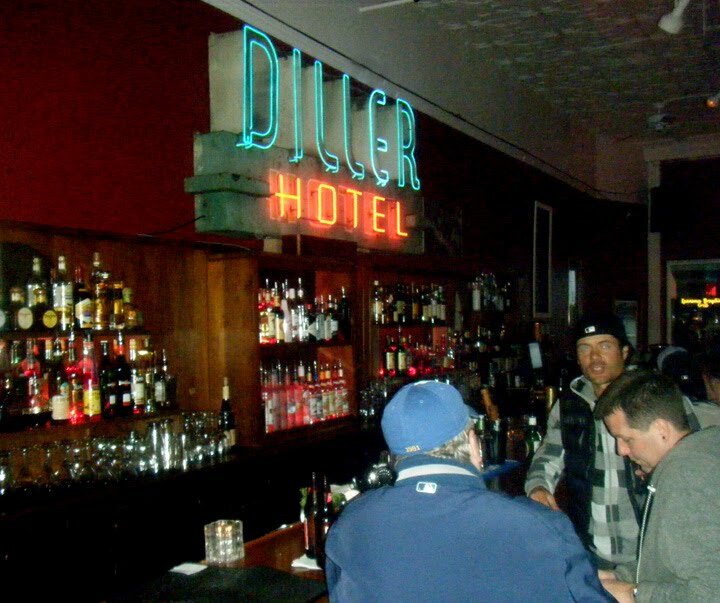 The web site say's "it’s time for The Diller Room’s return to its rightful place as the most opulent lounge in the City." Well, it's not quite that. But it is a nice room and bar with more character than most downtown Seattle bars, and pretty decent cocktails to boot. And it's great to see the old sign and a worthy revival of what a part of Seattle's first luxury hotel (est. 1898) and later a (genuine) speakeasy.